Recreational marijuana is now officially legal in Vermont, but it looks quite a bit different than it does in California. According to Associated Press, the new law that recently went into effect did not include provisions for how to tax and regulate marijuana production. As our marijuana attorneys can explain, this means while residents can possess and consume cannabis, they cannot open up a business to sell recreational products. Broken down into more precise terms, this is what adult-use legalization means for those in Vermont. 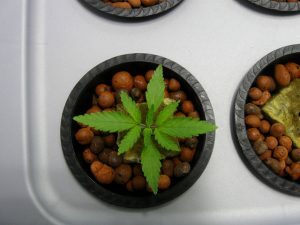 Residents are allowed to have four immature cannabis plants and two mature plants in their homes, so while it’s true there are no stores to purchase from, marijuana can be grown at home. Plants must be in enclosures that are secure and obscured from public view. Renters, however, must have permission from their landlords before they are allowed to begin a grow. Those 21 years and older are allowed to possess up to one ounce of marijuana, but it cannot be consumed in public spaces.Aside from home grows and all their limitations, the only other options Vermont residents have is to procure marijuana by illicit means. This is not unlike the way medical marijuana started in Vermont. Medical marijuana was legalized in the state in 2004 with the passage of Senate Bill 76. This law offered protections to qualifying patients and their caregivers who possessed or cultivated marijuana. The move was more about making sure that people who needed cannabis for health reasons were not treated like criminals, rather than giving them a concrete way to access and distribute cannabis products. As anyone in the medical marijuana industry knows, this is problematic because it limits the ways patients can consume marijuana and is a really imprecise way to attain proper strains and dosages to treat specific symptoms. It wasn’t until 2011 that the infrastructure really began to take shape when Senate Bill 17 allowed four state-licensed nonprofit organizations to dispense medical marijuana. Vermont is also unusual in that it is the first state to legalize recreational marijuana through legislation rather than a ballot measure. In 2015, legislators attempted to push bills through that would establish a regulated system for recreational cannabis sales, but could not get any traction. A few attempts to legalize possession hit walls in 2017. Finally in early 2018, a possession, use, and cultivation bill passed. Once again, the intention of the state is clear: officials know people are already using marijuana recreationally, and so long as they follow guidelines, there’s no reason they should not be allowed to carry on. Our Los Angeles recreational marijuana lawyers hope this new law paves the way for a more official adult-use marketplace to be established in Vermont in the near future. Most states have already come to realize the medical benefits of cannabis. The more states recognize cannabis as a benign recreational alternative to already socially acceptable products like alcohol and cigarettes, the quicker we can move forward together as a country. Right now marijuana businesses in California are still stifled by federal laws. The sooner we all unite on this issue, the more opportunities we will have to expand cannabis business ventures nationwide.